CLOSEOUTS. 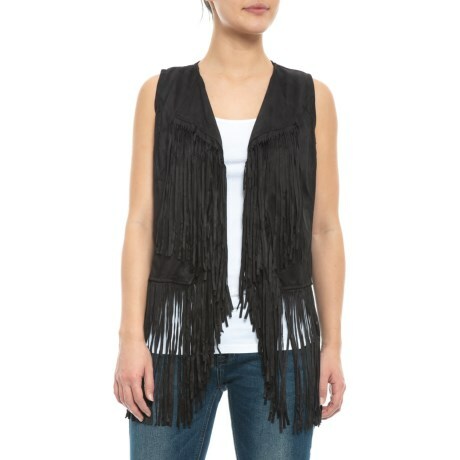 Add some rustic flare to your outfit with the fringed fun of this Studio West black vest. Available Colors: BLACK. Sizes: S, M, L, XL.